CPR First Aid Classes taken with Kansas City First Aid can prepare you for an emergency, should one ever arise. First aid refers to the emergency or immediate care you should provide when a person is injured or ill until full medical treatment is available. For minor conditions, first aid care may be enough. For serious problems, first aid care should be continued until more advanced care becomes available. The first step in any emergency is the recognition of the problem and providing help. When in doubt or when someone is seriously injured or ill, you should always activate the emergency response system by calling 911. If you’re not sure how serious the situation is, the 911 operator will ask you a series of questions to determine the seriousness of it. Remain on the line until additional help arrives, or until the 911 operator tells you to hang up. Emergency system dispatchers can guide you through the steps of performing cardiopulmonary resuscitation (CPR), using an automatic external defibrillator (AED), or delivering basic care until additional help arrives. When you take CPR First Aid Classes at Kansas City First Aid, you will be prepared to administer CPR until emergency services arrive. Whether you are at home, work, or school, know where the first aid kit and the AED are kept and be familiar with their contents. Know how to activate the emergency response system (by calling 911 if in the United States). Be aware of any policies in the workplace regarding medical emergencies. Kansas City First Aid offers many types of CPR First Aid Classes, including a Basic Lifesaving Course for Healthcare Providers, Heartsaver CPR/AED and Heartsaver Adult First Aid with CPR and AED for those who work in a non-medical setting, and a community non-certification course titled Family & Friends CPR Anytime Self-Directed Course. Kansas City First Aid is unique because they will come to your location and teach CPR First Aid Classes. 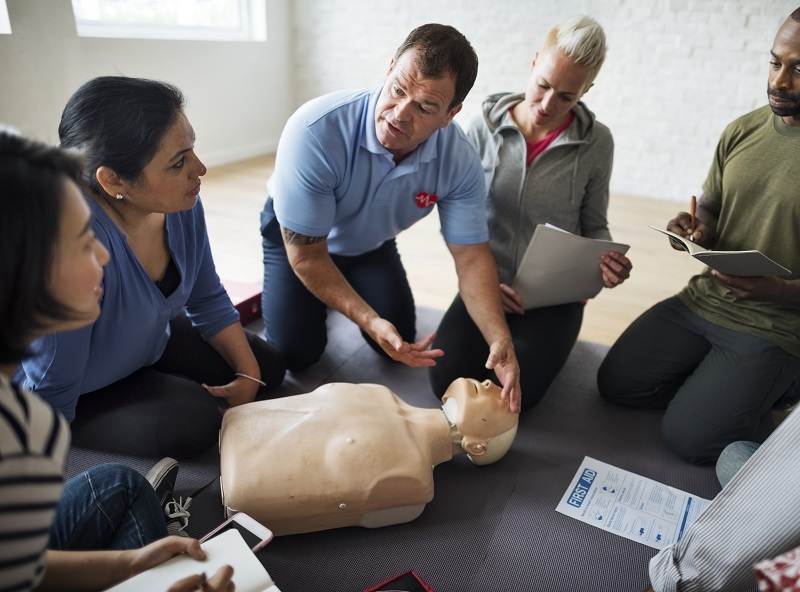 KC First Aid provides everything for a personalized onsite training class including: Certified Instructors, Training Supplies, and Student Workbooks (purchased separately). The courses include a two-year certification from the American Heart Association. Kansas City First Aid is located in Shawnee, Kansas, and teaches both public and private classes throughout the Kansas City and surrounding areas. 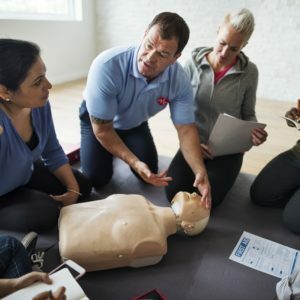 For information on CPR First Aid Classes and other classes offered, visit https://www.kcfirstaid.com/public-cpr-classes-and-first-aid-training/.